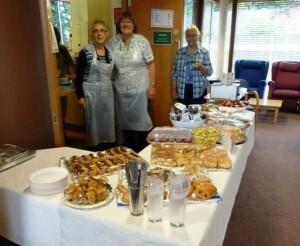 Volunteers at the Macmillan Wellbeing Centre are an essential part of the team working alongside paid staff. They are pivotal in providing a welcoming and friendly atmosphere. Their role complements the work of the staff and they are supportive to clients and visitors. 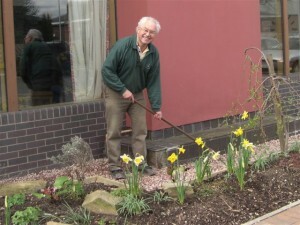 The special skills of a volunteer can be utilised to enhance the scope of services that we offer. Any vacancies for volunteering will be advertised here on our Website, and on the Pennine Care NHS Foundation Trust website. What do Volunteers do at the Macmillan Wellbeing Centre? Meet and greet on reception – for some patients visiting a new place can be daunting and confusing, therefore a warm and friendly smile and an offer to help can make a huge difference. Our reception volunteers help the Centre to improve the quality of care offered to patients, by very often being the first point of contact. Volunteer drivers – the Centre provides volunteer transport to and from the Centre for clients who otherwise would struggle to attend. Information Outreach Awareness sessions – volunteers assist with awareness sessions and man information stands in various community venues. Therapeutic groups – volunteers both facilitate and assist with therapeutic groups at the Centre. Fundraising – volunteers provide invaluable support in organising and assisting at fundraising events. Many of our volunteers have very full and busy lives and still manage to find time to help others! The amount of time a volunteer can give is their choice and hours are discussed once a person has joined us. All volunteers’ time is valuable and can make such a difference. Our counselling service also relies on the support of volunteer counsellors. The service is run by two qualified members of staff and the team is made up of students who are in the final stages of their counselling training, studying for a Diploma, MA or MSc. We also welcome qualified Counsellors who wish to return to practice. Students and counsellors looking for a placement are recruited annually from the end of August and application packs are available by telephoning the Centre on 746 2080. 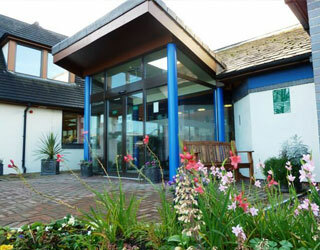 I can not, and would not, try to find any fault with the Centre and its’ wonderful staff and Volunteers.